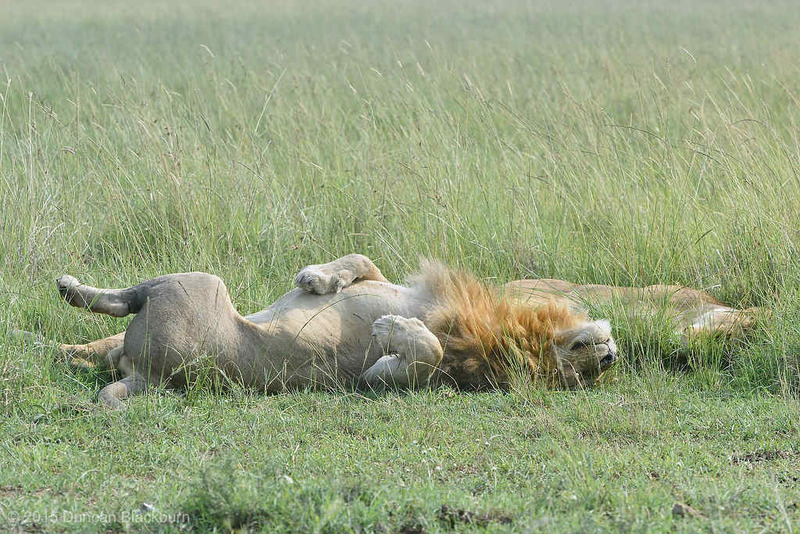 When you are at the top of the food chain, you can afford to relax in the afternoon sunshine! 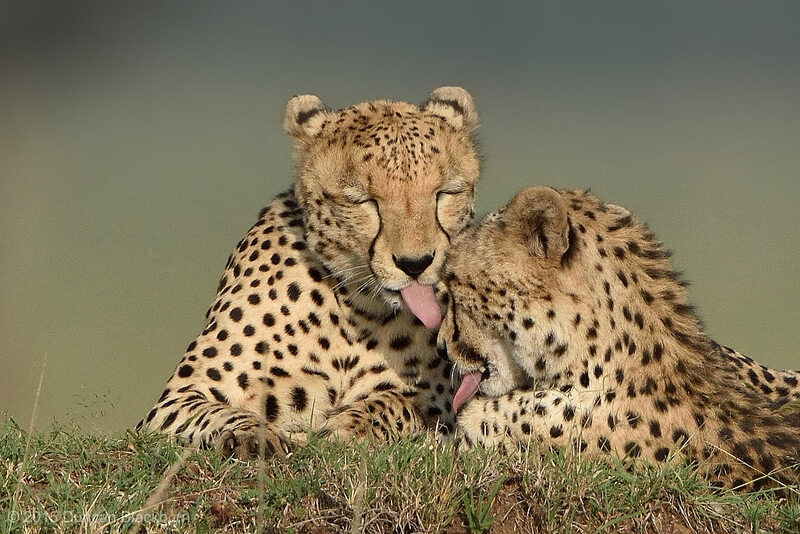 These two brothers are seen taking a “freshening up” break after an unsuccessful hunt of an Impala ram. This behaviour can also be construed as mutual commiseration after the failure and the prospect of sleeping hungry that night. In the previous post I mentioned that the particular lion pride shown there was ruled by two males. These are they! The lion, also known as the African lion, is one of the five big cats in the genus Panthera and a member of the family Felidae. The undisputed kings of the wild! I recently visited the Masai Mara in Kenya, East Africa, with the intention of spending some quiet “out of season” time with the three Big Cats viz. lion, leopard and cheetah. The scene here is some of the female and cub members of a fourteen strong pride. 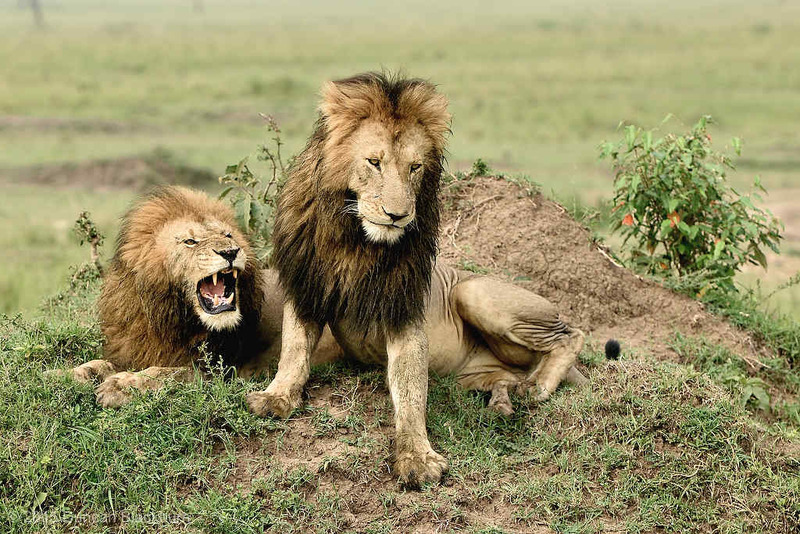 This pride is ruled by two males. We were to encounter this pride on a number of separate occasions in the Mara and were extremely fortunate to witness some hunting activities.